I have been tinkering around with the code in Pearson's "Generative Art" and came up with this and the image above. But what the images really remind me of are the belemnites that Cynthia and I had tried (and failed) to find in the fossil beds of Dorset and Yorkshire. Belemnites are the fossilized remains of little squid-like creatures. Most of the times you find individuals—a small one looks a little like a shark's tooth—but sometimes you find a mass of them in a single slab, a "belemnite battlefield". How do these battlefields occur? I found a paper by Doyle and MacDonald from 1993 in which the authors identify five pathways: post-spawning mortality, catastrophic mass mortality, predation concentration, stratigraphical condensation, and resedimentation. I don't know which occurred in the slab shown above but hey, I now know more potential pathways than I did before I read that paper. And that's why art is fun. One moment you are messing around with RGB codes to get just the right sandy color for the background of a picture, the next you are researching natural phenomena that until an hour ago you never knew even had a name. This presentation is from the conference "beyond tellerrand", which took place earlier this year in Düsseldorf. Jared Tarbell has a long history of producing beautiful generative art. He demonstrates one of my favorites—Substrate—at 09:53. How many times am I going to forget this? I have been using matplotlib on and off for over 15 years; either using it in its own right (the early days) or as some deeply embedded package whenever I use pandas (last couple years). So why do I always always forget how to get the damn graphics to display? When you run that, do you see a nice blue histogram describing the dimensions of farmyard animals? Lucky you. I don't. Because I forgot the magic incantation that needs to go after this. And another thing: this shouldn't work. According to their own documentation, getting matplotlib to operate on OSX—which is what I'm attempting—involves a titanic struggle of framework builds against regular builds, incompatible backends, and bizarre specificity regarding my environment manager (my use of conda apparently means that any perceived irregularities in behaviour are my own damn fault). OK, I'm done venting. Until the next time I forget the incantation and have to re-learn this. Author robertPosted on June 26, 2018 June 26, 2018 Categories codeTags matplotlib, pandas, pythonLeave a comment on How many times am I going to forget this? You can use recurrent neural networks (RNNs) to generate text: feed one the names of death metal bands (say) and it will start creating it's own. Ditto ice-cream flavors, paint colors, Trump tweets, etc. One popular package that allows the likes of me to play with this technology was developed by a data scientist, Max Woolf. He's got a great how-to page on his blog. Lifehacker also have an extremely simple and helpful guide that relies on Max's work. What random text should I generate? I have to feed an RNN a few thousand examples before it can start creating its own (or at least creating text that feels realistic). Fortunately I found a list of all of Harlequin's books from 1949 to 2012; about 4400 titles in total. That is large enough to give the RNN a chance to identify the patterns in the titles, small enough that the RNN will not need to run for hours before giving a result. Install python3, tensorflow, and textgenrnn on your computer. Create "training" and "run" scripts in python. The training script reads all the example data and discovers its underlying patterns, the run script generates new examples. The RNN's "run" step has a temperature parameter that you can dial up or down betwen zero and one. I think this is something of a misnomer. Lifehacker describe it as a "creativity dial"; I prefer to think of it as a weirdness control. Here are some of the titles that the RNN produced, ordered by temperature. So, which of these would you read? Why am I playing with generative art? Because of this. And because I'm a philistine. 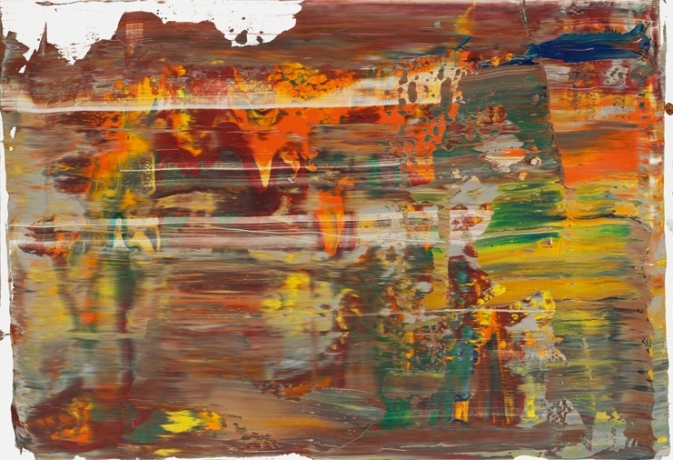 It is usually Richter's big smeary abstracts that grab my attention (like this one); I've only recently come across his series 4900 Colours and 1024 Farben. Unfortunately I have only encountered these online (this site has a great analysis of why I should seek one out in person); I think that is why I indulged myself in the response of the philistine: "Huh, I bet I could do that". Long story short: even creating a small panel with smooth, well-executed, regular patches of color is beyond my abilities (good enough for my living room wall, though). A more immediate and positive effect is that this project got me into generative art. How so? Well, before committing acrylic to board I wanted to get an idea of what the end product would look like. So why not prototype it? Sure, I could write a python script to knock something like this out, but I don't need to reinvent the wheel when tools like Processing and NodeBox already exist. My first attempts with NodeBox were a bust. I liked the idea of playing with a GUI that allows you to build a network of nodes and edges that represent series of actions and the flow of their results, but in practice it was just too clunky and I was too impatient. "Why does this node have so many input connections? Why can't I right-click this edge? How the heck do I reseed the random number generator?". So Processing it was. Processing comes in two flavors: Java and Python. I have been programming Python for years and I really wanted to like that version. But it is just not as mature and complete as the original Java. I guess it is time for me to brush up my Java. These are early days in my exploration of generative art. I think I am going to kick off with a Richter simulator. Seems simple, right? I shall post images and code when I can. 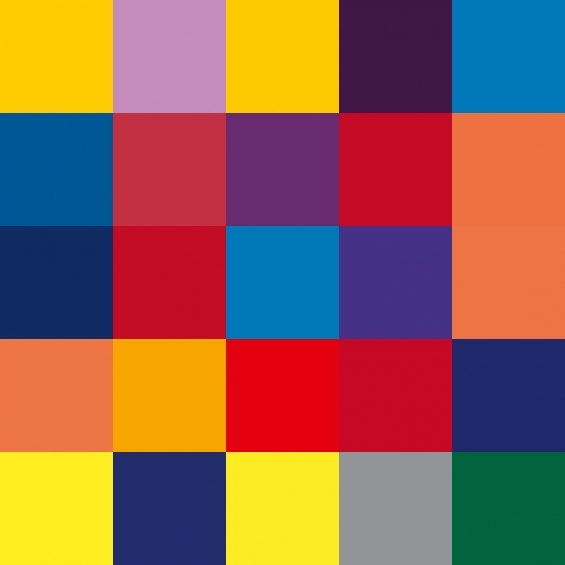 Author robertPosted on June 18, 2018 June 19, 2018 Categories artTags generative art, Gerhard RichterLeave a comment on Why am I playing with generative art?